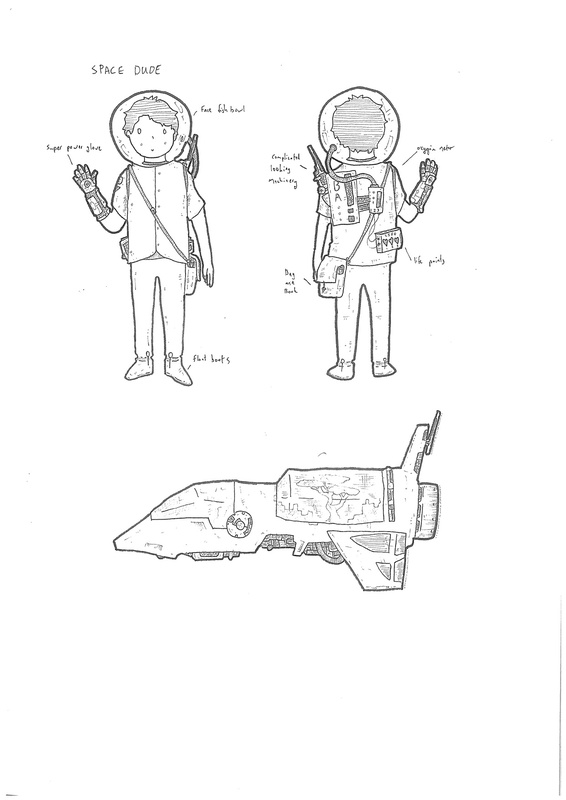 My friend Hugh Inglis and I were working on a proposal to make an interactive short story series that revolves around a young boy and his pet dog who both live in space on their spaceship. 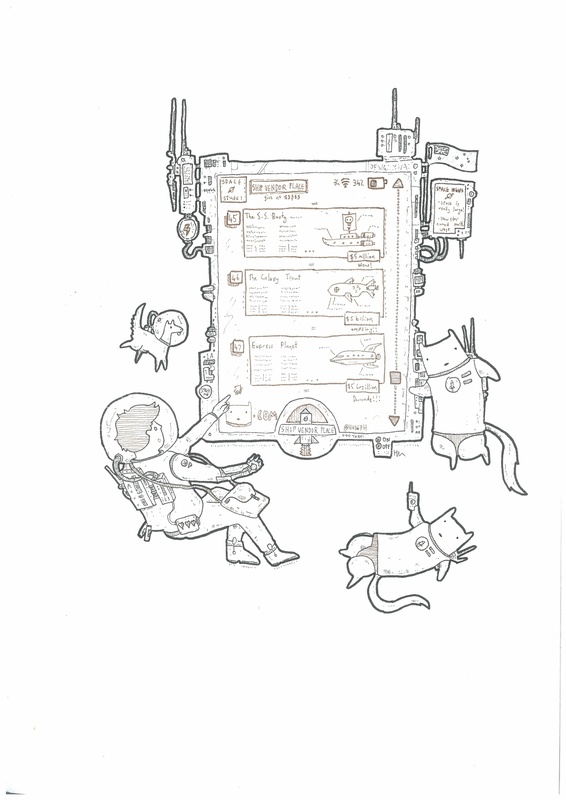 I put a lot of work into this proposal, where I was calling up for advertising space in community papers, as well as researching software to implement our idea as well as looking for grants and making a budget to be divided into hourly rates. 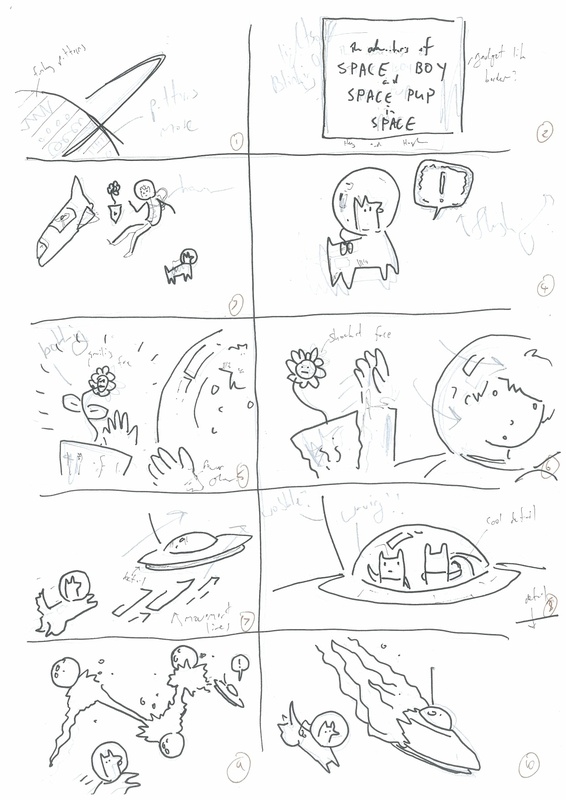 These are the images drawn by my colleague. He’s an extremely talented artist as well as musician. 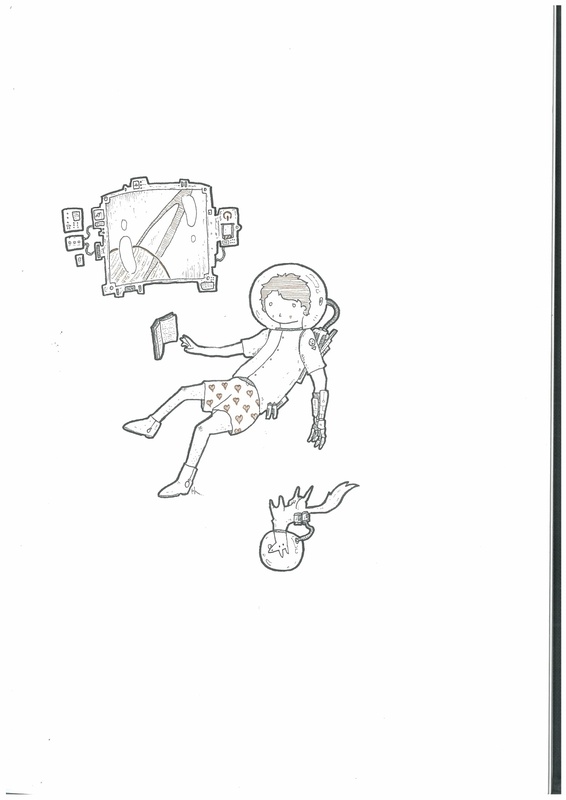 He wanted to make a short story series around his drawings of Space Boy and Space Pup, so we brainstormed an idea and came up with an audio/visual eBook publication that we aim towards children that is easily distributed, used and played with. From our first publication, we’re hoping to continue with a first series of around 24 episodes. 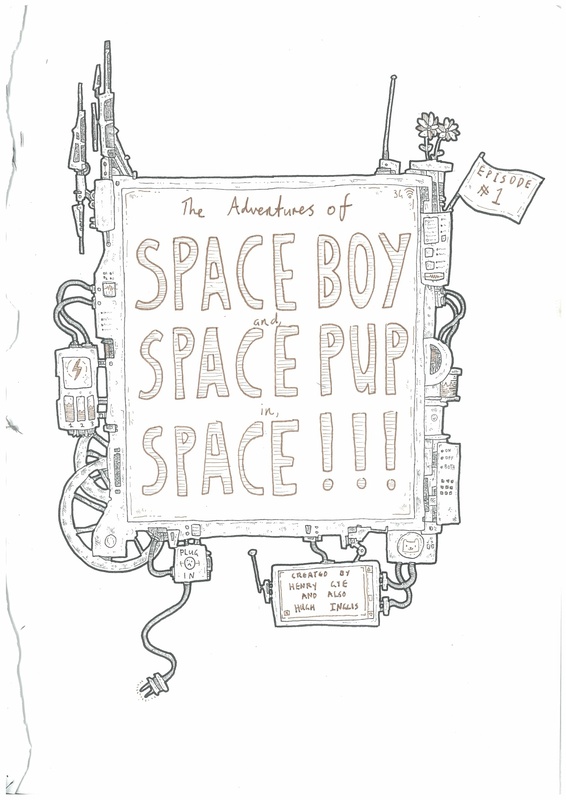 The introductory tune we wrote and mixed that follows Space Boy wondering around until Space Pup runs off after some aliens.